one of my biggest boyhood role models. In A Son's Identity: Part 1 I explained how all young boys look for role models they want to be just like. When this happens, the boy, in a very real sense, allows these role models to shape his identity. Then I told you how, as an 8-year-old boy, I wanted to be a super secret agent, like Derek Flint and James Bond. 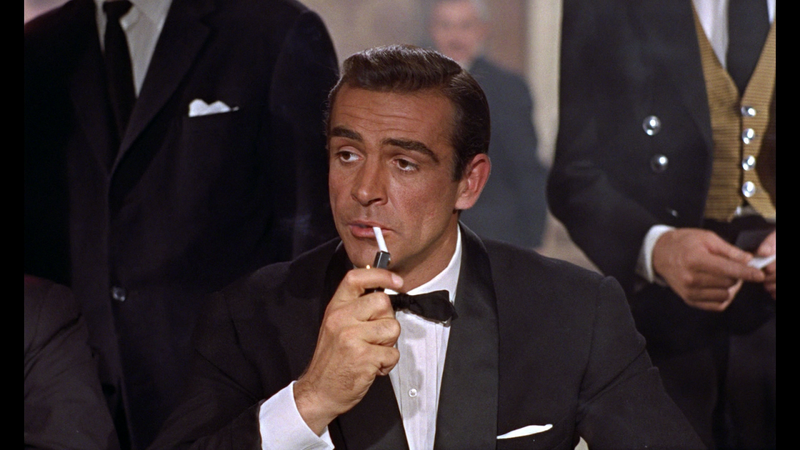 Having read all the James Bond books when I was a boy, I can tell you the lifestyle of this man is one of materialism, womanizing, gambling, and substance abuse (alcohol and tobacco). Sure, there are all kinds of thrills in 007's life, but thrills do not lead to fulfillment. Look under the glamour and you'll find a shallow, self-centered, and vain man whose life is void of substantive meaning. In short, Bond is a desperate and pitiful human being. He is a product of, and a classic example of, the modern industrialized man. So how, you might wonder, did I make the transition from idolizing to indicting this fictional paragon of vainglory foolishness? Well, it's a God thing, really. I became a Christian, grew in my faith and, eventually, caught the vision of God's archetype for manhood, which is pretty much the complete opposite of the 007 example. And then there is the Agrarian connection. As I’ve mentioned in previous blog entries, my family moved from our suburban tract-house outside Syracuse, N.Y. to an old farm house on 25 acres out in the country. This was a significant life-changing experience for me. I was not a complete stranger to the country. My grandfather (another role model I’ll talk about one day) was a retired potato farmer in Northern Maine, and I have wonderful memories of summers spent visiting my grandparents. But I was not a country boy. And our family’s move was not a visit. It was for life. I’m still here. I am firmly convinced, from my own experience, that there is no better place for a boy to grow up than out in the country. Agrarian life at its best fulfills a boy’s deepest yearnings and can ignite his imagination in countless wholesome ways. The little adventures and experiences that come from living in close contact with the woods, fields, streams, wildlife, and work of a simple rural farm or homestead are also incredibly valuable when it comes to instilling character and integrity in a boy. But Agrarian life does not, in itself, provide a boy with the positive identity-shaping influences he needs. Within the Agrarian framework, there needs to be an example of a real man. I’m not speaking of a hollywood super hero or a sports star or a rock musician or any of the sordid subculture icons that vie for a modern boy’s attention and, in reality, his life. I’m talking of a real, reach-out-and-touch-him-talk-to-him-and-do-stuff-with him man. This man should, preferably, be the boy’s father (but a grandfather or other man can fill the role). A father who lives, and loves, and leads in a wholesome, God-glorifying manner will impact a boy’s life like nothing else. If a son sees the good fruit of a godly father, he will, 99.9% of the time, embrace the beliefs of the father. I believe a father’s primary ministry and work in life should be to his family. A father must not only provide a godly example, he must protect his children from the influence of unwholesome role models. And he must provide his children with other examples of wholesome role models. This is what I believe to be true. This is what I endeavor to do in my family with my boys. I am not the best at it, but I’m aware of the importance of being and doing what I’ve just told you, and I believe, with God’s help, it is making a difference in my children’s lives. My boys are thriving in this kind of environment. They are having a far better childhood than I ever had. They will, I trust and pray, grow up to be better men than I.
I have one more thing to say along the lines of this subject, but I have decided to save it for the next entry. I will tell you about a resource for young boys (and, to some extent, girls) that is a powerfully effective, wholesome, identity-shaping and character-building influence. It is something I discovered three years ago and I have seen it bear remarkable fruit in the life of my two youngest boys.